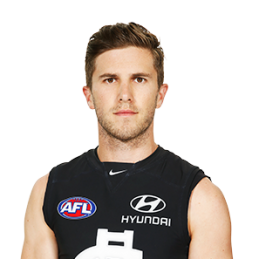 Marc Murphy was born on the 19/6/1987. He is an Australian rules footballer who plays for Carlton Blues. Carlton is a team in the AFL , they’ve also won 16 premierships. Marc went to Whitefriars College in Donvale. His junior clubs were Beverly Hills F.C and Doncaster F.C. He also played in the TAC Cup. As an 18 year old, Marc represented the Vic Metro team in 2005. Also in 2005 Marc played in the Nab AFL U18 league. In that league Marc won the Larke Medal which means he was the best player in the Nab AFL U18 league. In 2005 Marc got drafted to Carlton Blues at pick number 1. He made his debut in round 1, 2006 and he even got a nomination for the AFL’s Nab Rising Star. In 2006, Marc wasn’t successful in winning the Rising Star Award because of a tragic shoulder injury but was voted by his peers to win the AFLPA best First Year Player Award. In 2006 Marc played 13 AFL games. In 2010, Marc Murphy played his 100th game. In playing his 100th game, his dad Johnplayed 275 games and grandfather Leo played 132 games. That meant that the three of them became the only father- son- grandson combination to play 100 plus games each. In 2011, Marc was named in the All- Australian line-up for the first time in his career. In that year he also his first John Nicholls Medal for best & fairest for Carlton. He was also named the AFLCA Champion Player of the Year and the Age Player of the Year. In 2012 Marc was favourite to win the Brownlow Medal before he had a collision with Patrick Dangerfield in round 8 against Adelaide Crows. Murphy was sent to hospital getting told he had a serious shoulder injury. On March 13th 2013, Murphy was announced the captain of Carlton, replacing Chris Judd. Marc Murphy is continuing to have a successful career at Carlton.